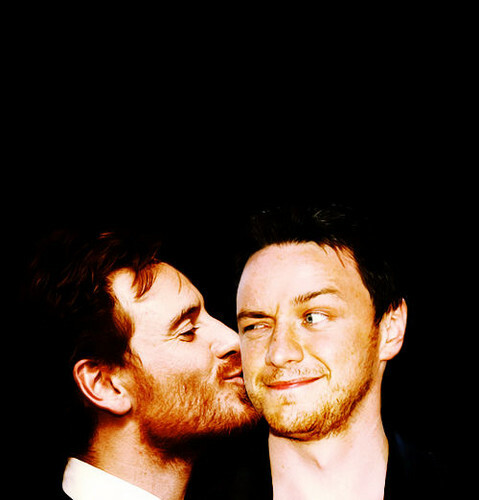 McFassy Cheek Kiss!. . Wallpaper and background images in the James McAvoy and Michael Fassbender club tagged: james mcavoy michael fassbender mcfassy. This James McAvoy and Michael Fassbender photo might contain business suit, concert, portrait, headshot, and closeup.